If you want to get dock like Mac OS X, there are some dock application you can try. 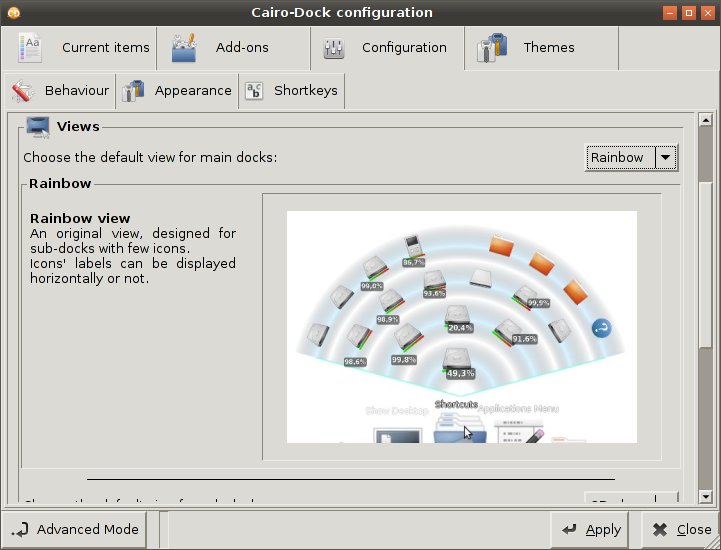 You can install Cairo Dock & Avant Window Navigator. You need install xcompmgr for WM and make it autostart, or enable composite on specific Desktop Environment, to make transparent work. Cairo-Dock is a pretty, fast and customizable dock. 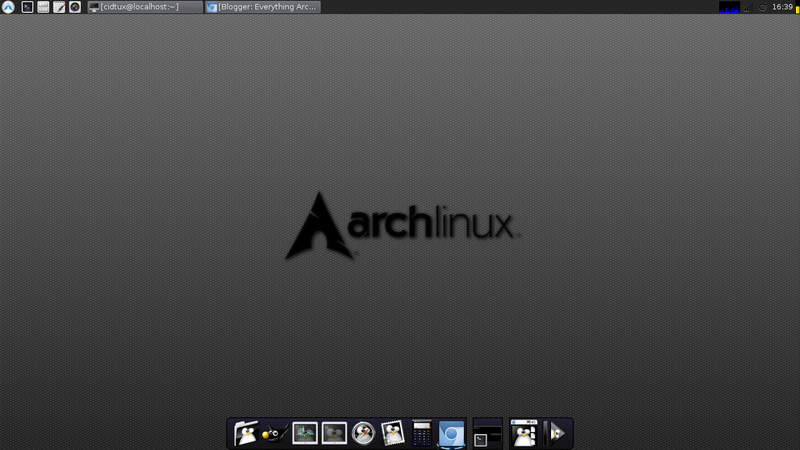 It as a good alternative/addition to Unity, Gnome-Shell, Xfce-panel, KDE-panel, etc. Cairo dock will be installed. 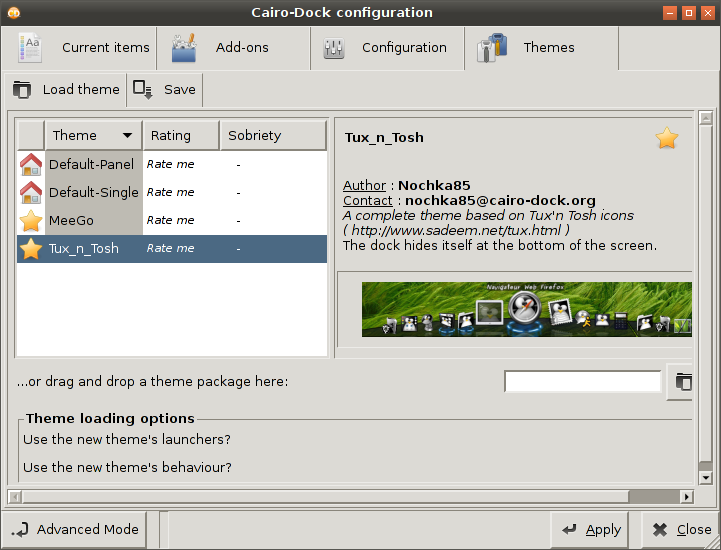 Then run it by typing cairo-dock, or select from start menu (on system menu). For the first time you will be ask for using opengl, click yes to use opengl, no if you don't want. By default dock is set to bottom. Here's my cairo-dock. For configuration you, right click on dock then click on configuration, you can customize the behaviour, appearance, dock style and theme. For theme, when you connect internet there will be more theme list on there, that you can install directly. (For screenshot above i'm using Tux_n_Tosh). After you configure cairo-dock, then set autostart, and make sure your composite is enabled too. 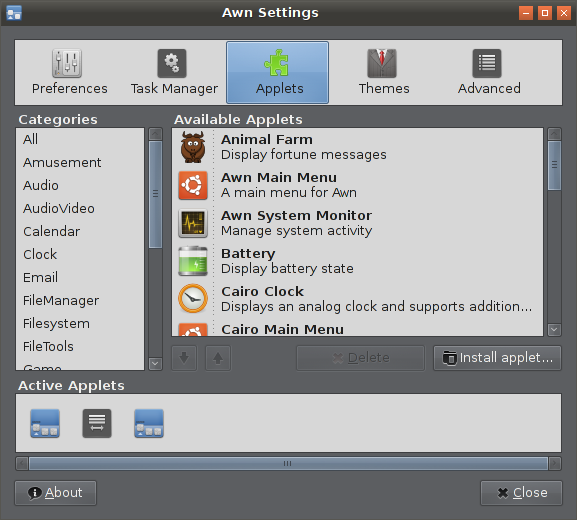 Cairo-dock have start menu button, so it can be used as alternative to panel if you use WM like openbox, fluxbox, etc. (AWN) is a lightweight dock written in C. It has support for launchers, task lists and third party applets. For customization, you can change themes, and also add applet on dock.